How can you click on and open up the unread replies? 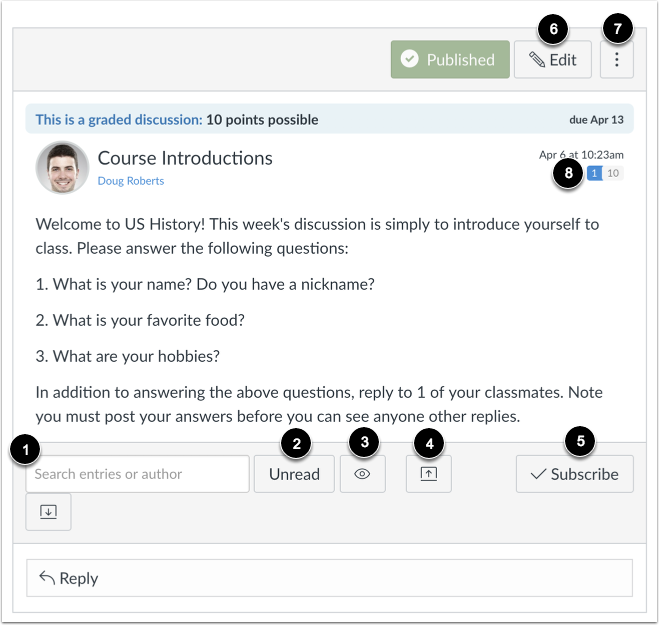 I think this guide will help: How do I view and sort discussion replies as an instructor? In a discussion, you have several options to view and sort discussions. Use the search field  to search for replies or specific authors. To filter by unread replies, click the Unread button . To view deleted replies, click the Show button . You can also collapse and expand all discussion replies . While this isn't a solution, I feel that it's related! Theresa, I'm not sure from your question if you are a teacher or a student. If you are a teacher, this information should help - How do I mark discussion replies as read or unread as an instructor? If you are a student, then this information should help - How do I mark discussion replies as read or unread as a student? I am a teacher. I want to click on the small notification that is my unread replies indicator. And then I want to have access to only those unread replies. When I tap that small button, it is not active and it does not link me to my unread replies; it just tells me that I have 3- or whatever . What do I click to pop open only those unread replies without having to search through the entire thread to identify them?